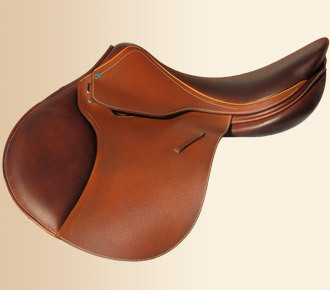 Made in France, the “Marengo by L’Apogée” is a Close Contact/Jumping saddle designed for the Mid-Range market. Named for Napoleon’s famous warhorse, the Marengo features include a hand stitched, half deep French calf seat and knee roll with front and back blocks. Available in 16.5”, 17”, 17.5” seat sizes, four flap options, and three tree widths, the Marengo is beautifully balanced for the show circuit.